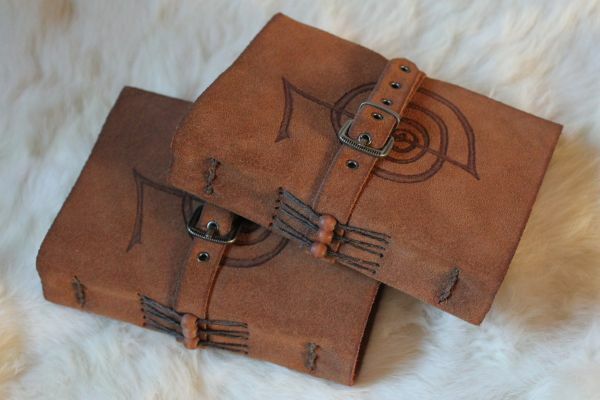 I just finished a matching leather journals for some friends. 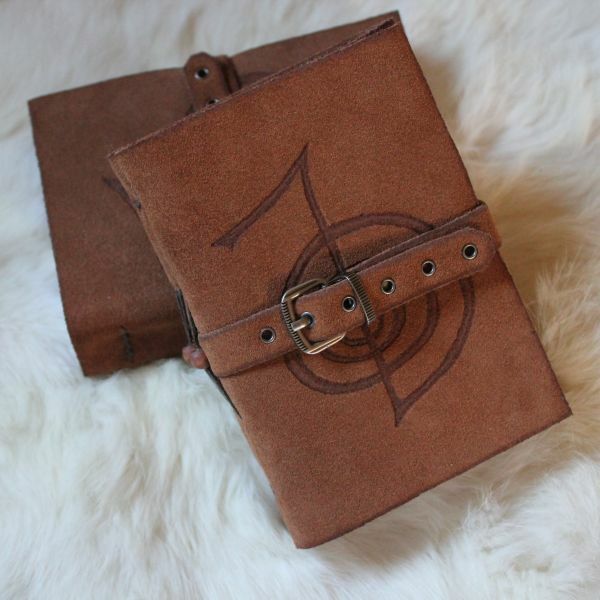 On these I tried out pyrography on the leather… and I really like the results! 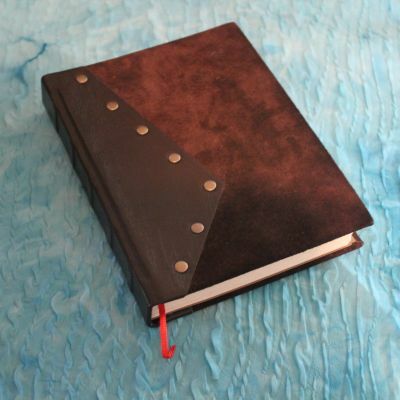 This opens up a whole different way of personalizing the journals! 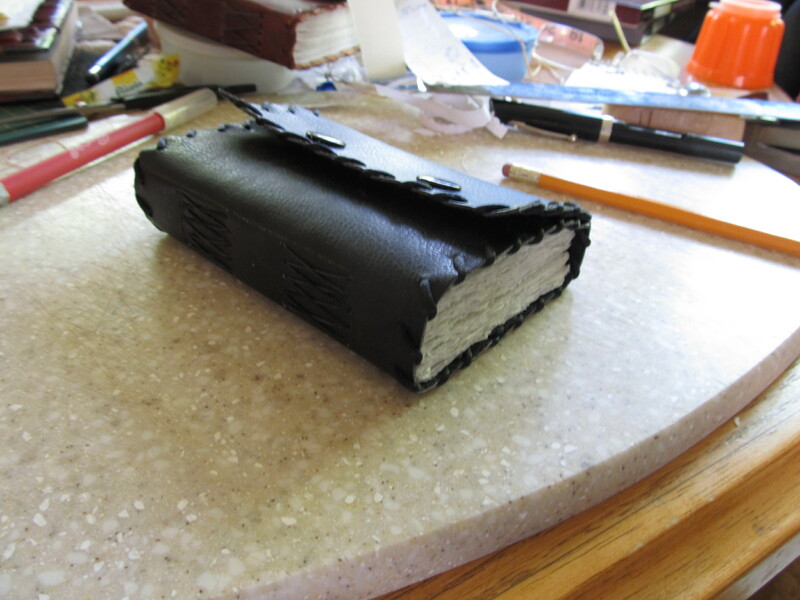 I also tried using some different paper made from sugarcane. It’s about as thick as regular copy paper, but has more of a silky feel to it. 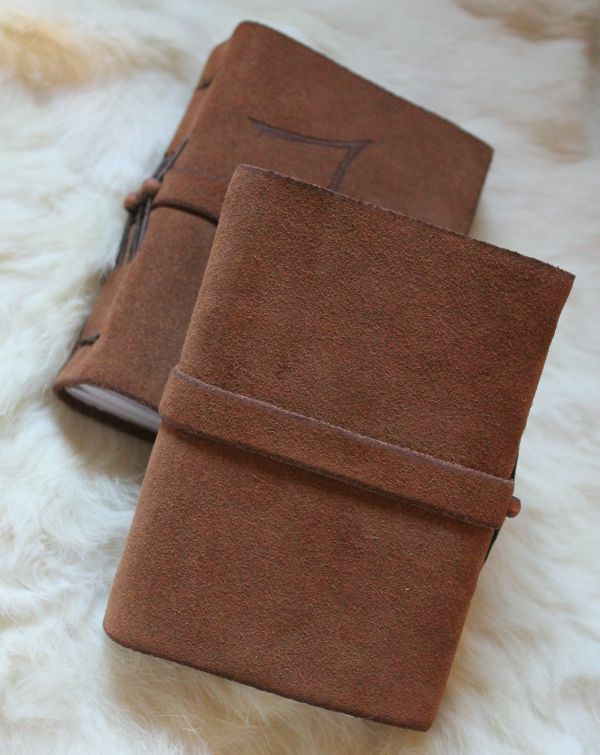 Each journal has 384 pages, front and back and is 3.5″ x 5″. 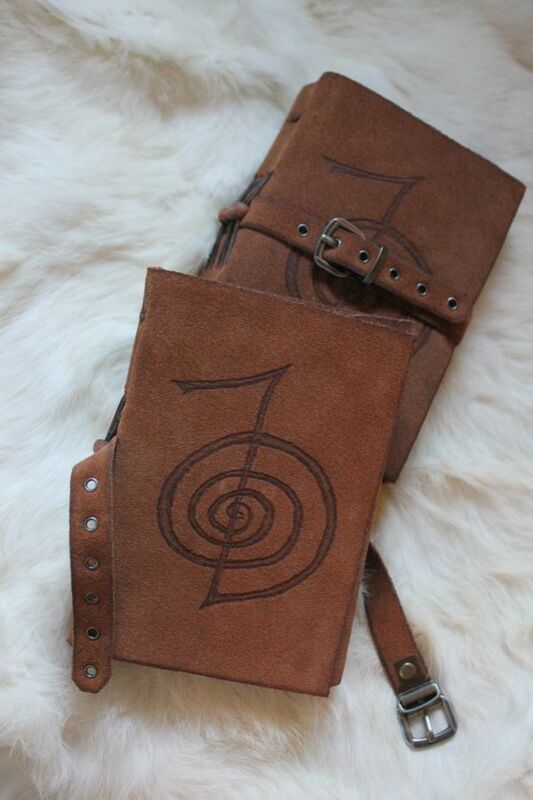 Burned into the front cover is the Cho Ku Rei Reiki symbol. It is a Reiki power symbol. Along with their names, I burned the Sei He Ki Reiki symbol, which is used for mental and also for emotional healing, protection, purification, clearing and balancing. 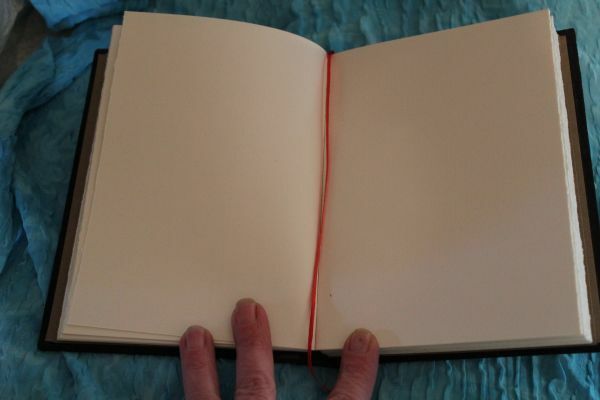 On the first page I put the Reiki Principles. Can you imagine what a beautiful world this would be if everyone followed this? 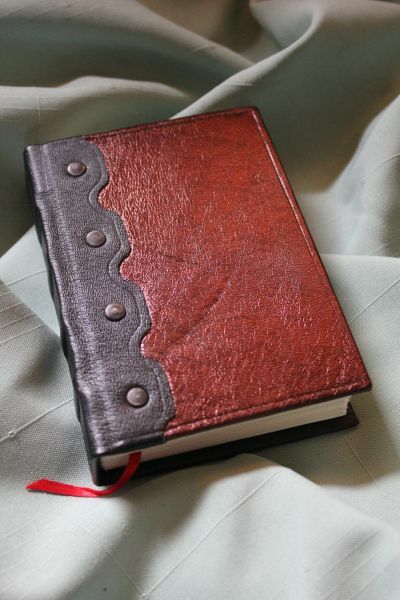 This one was made using medieval book binding where the signatures are sewn onto cords, and then attached to a wooden cover. 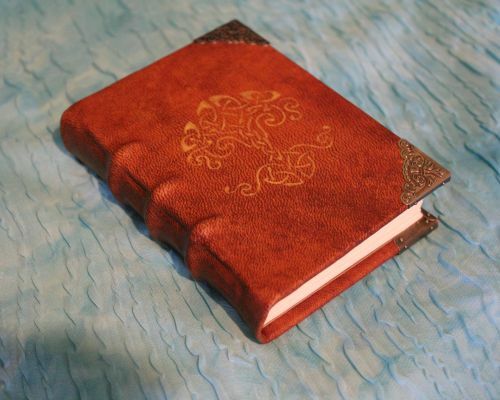 The cover is then wrapped with soft lambskin, and the tree of life was painted onto the front cover. 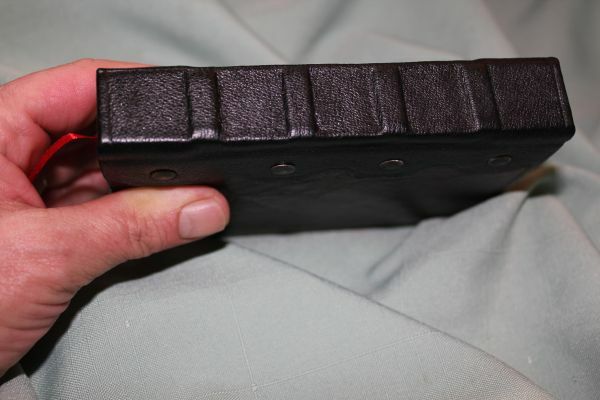 I then attached metal corners to the cover. 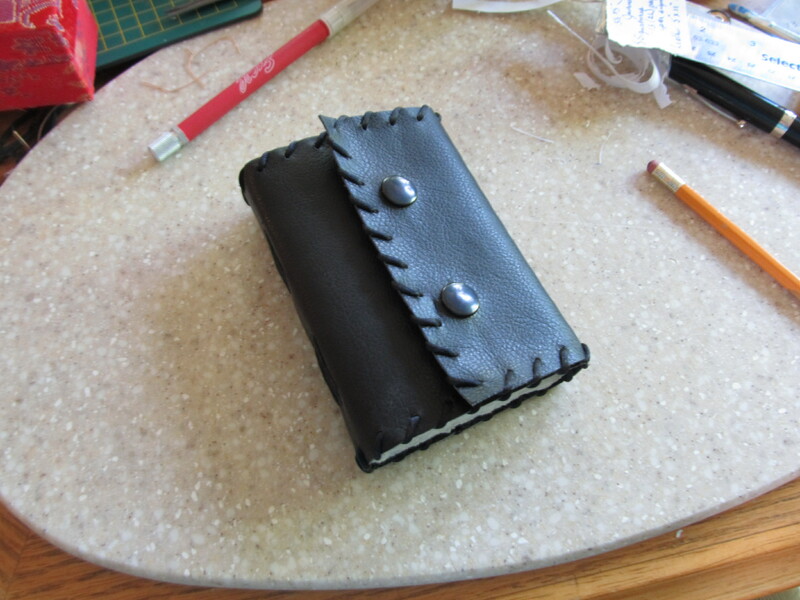 It is 3.5″ x 5″, and has approx. 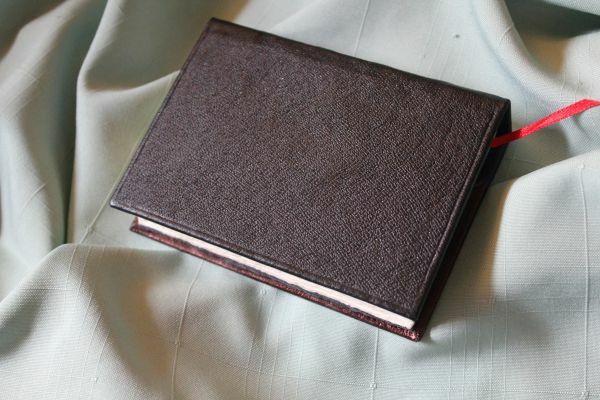 250 linen pages. 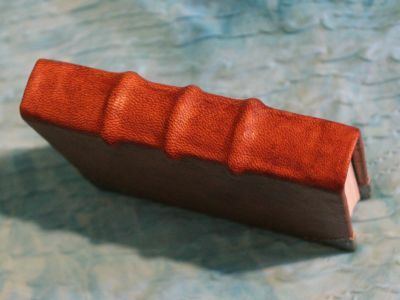 I was going to ask $60.00 for this one, but… I marred the inside cover while putting on the metal corners *bangs head* so I’ll accept $45.00. 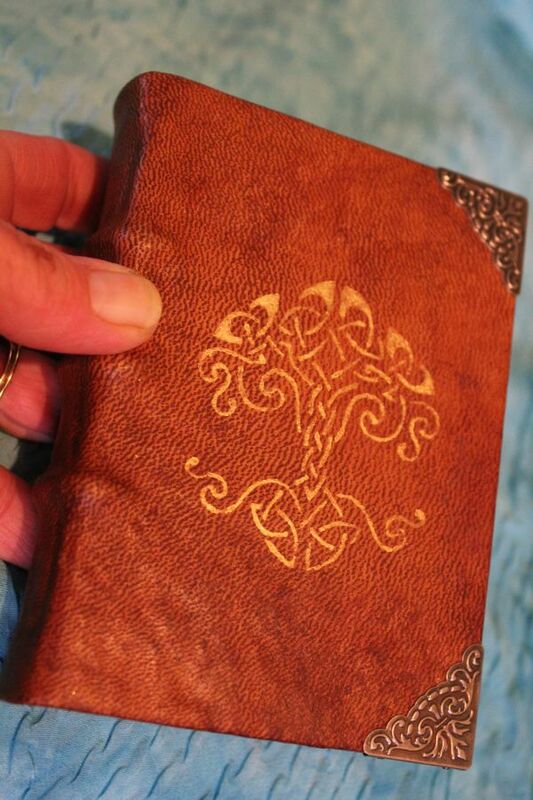 Tree of life hand painted onto the cover using metallic acrylic paint. 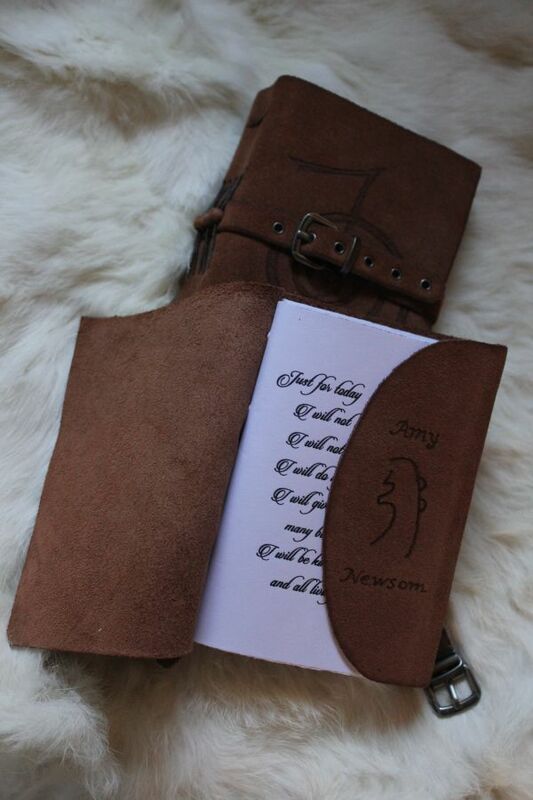 The form of the cords that the signatures are sewn onto… cool eh? 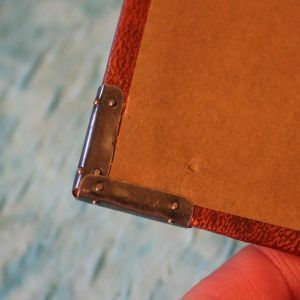 The semi-hard cover is wrapped with brown suede, with brown leather over the spine and secured with small antique brass rivets. 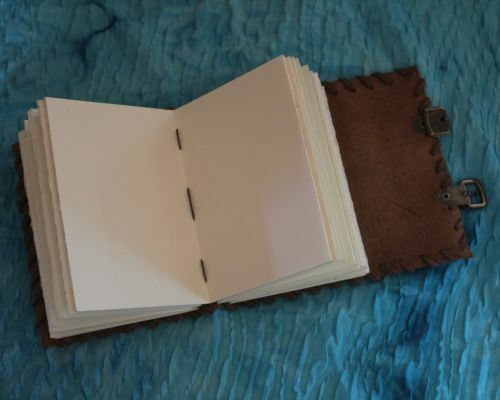 The linen pages are have a textured feel, and take to a calligraphy pen nicely! 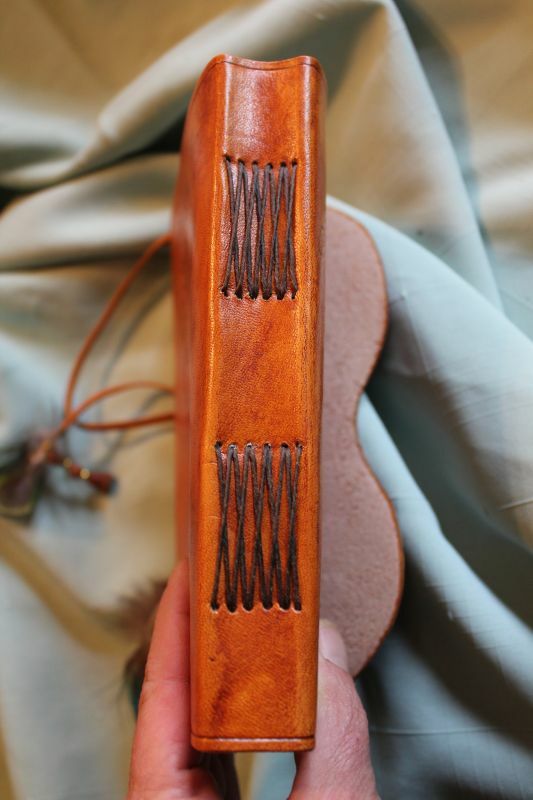 This journal is not sewn to the leather, but instead is a text block that is attached to the leather wrapped cover board. 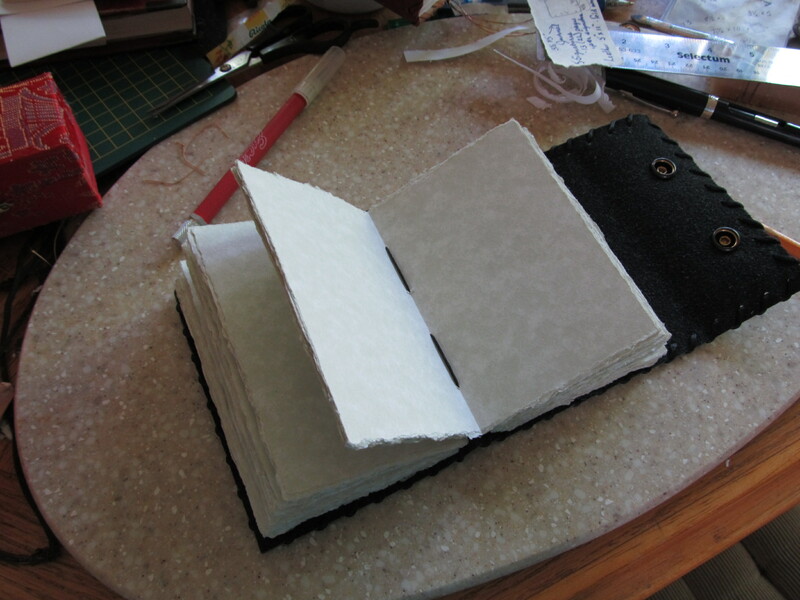 I hand cut each of the ivory colored cotton pages, and deckled on one edge. 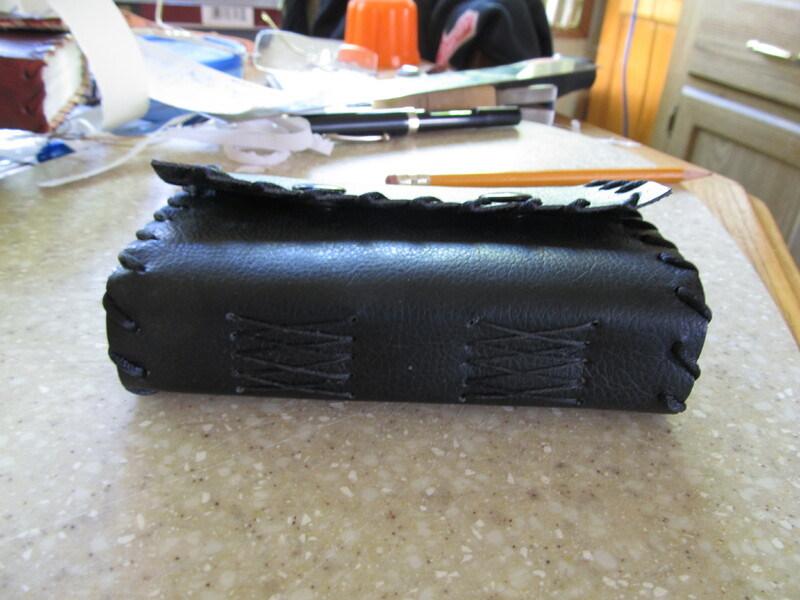 Here’s the back with black leather. I went all out… making it with images and sayings that are meaningful to me. 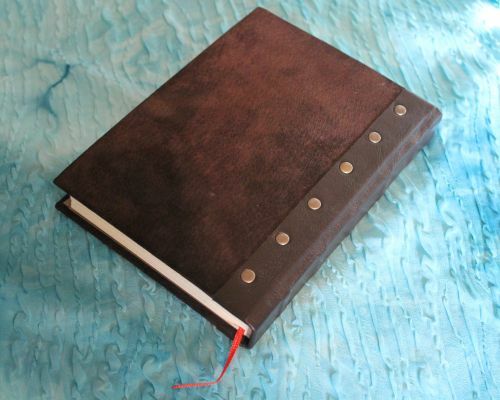 Here is what the finished journal looks like…. 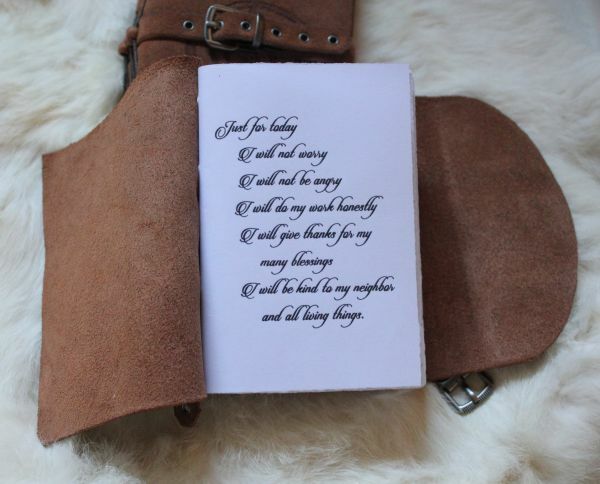 Made with lambskin vegetable tanned leather. 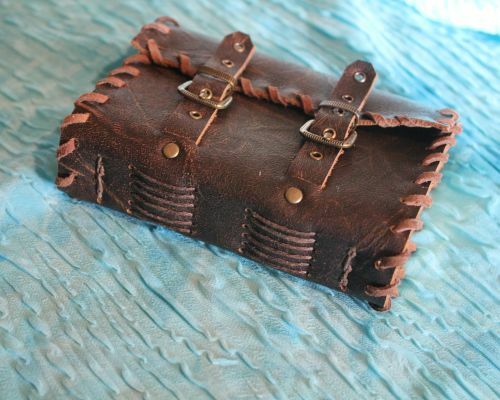 It’s tied closed with a thin leather with beads & feathers on the end. 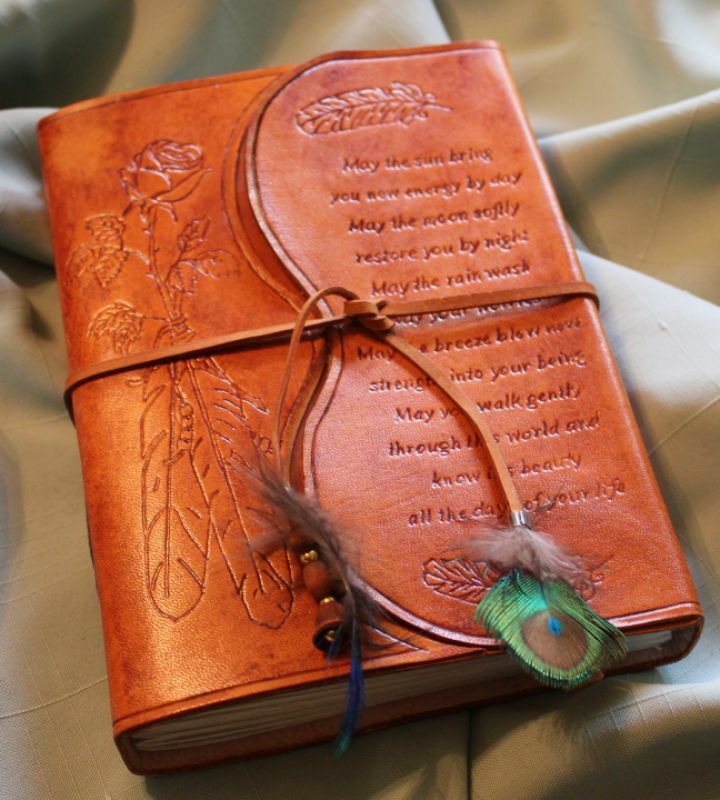 A rose with a feather is tooled into the front (symbolizing love and peace). 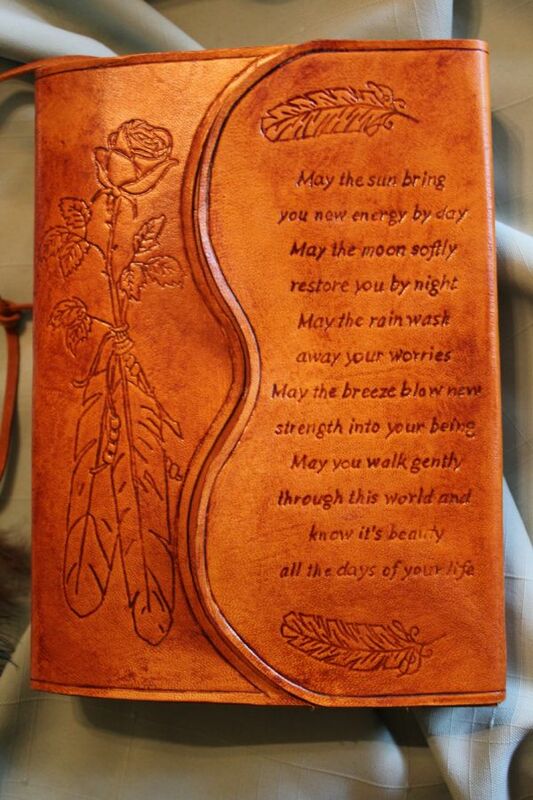 On the fold-over I tooled the Apache prayer. 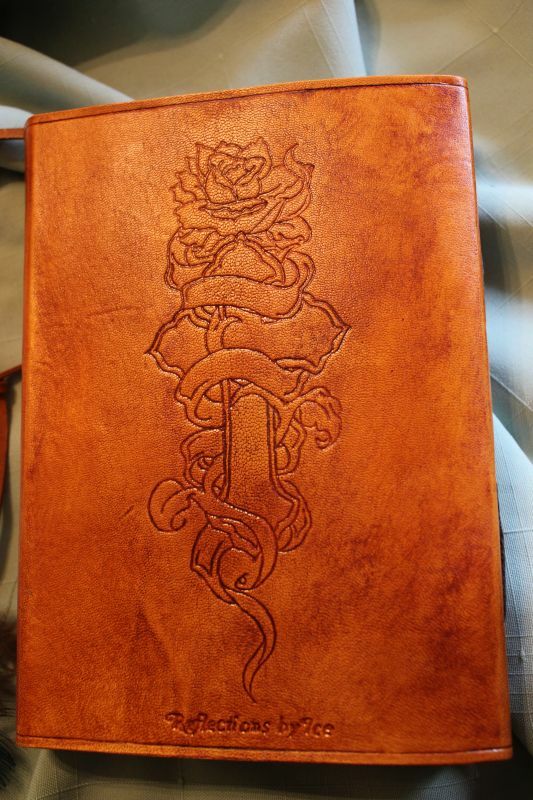 Inside the flap, I tooled a rose I actually drew! First one that looks like a rose 😉 I also tooled the Serenity prayer onto it. 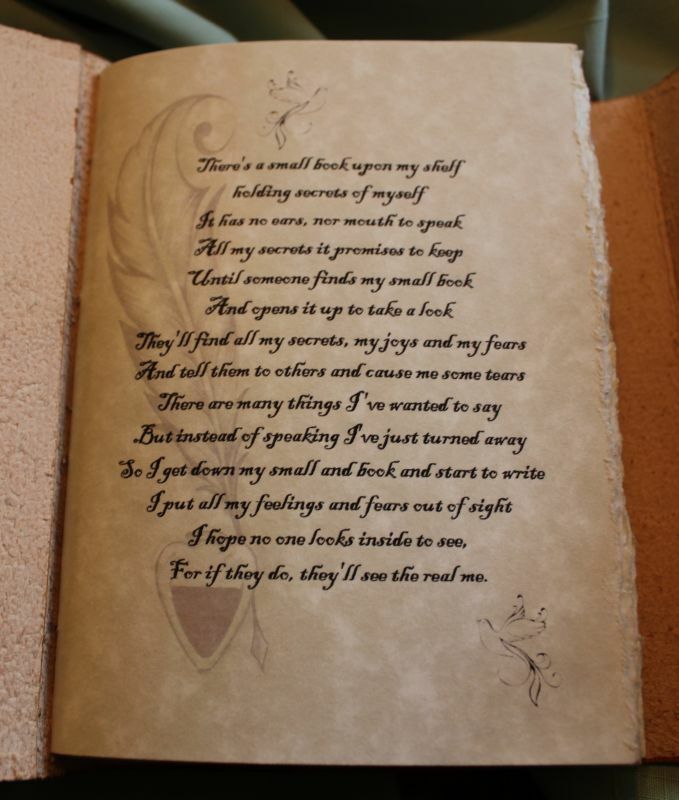 I used parchment paper for the pages, and the very first page I printed a poem I found years ago, and have put it into every journal I’ve had. I wish I could find who originally wrote it to give credit. 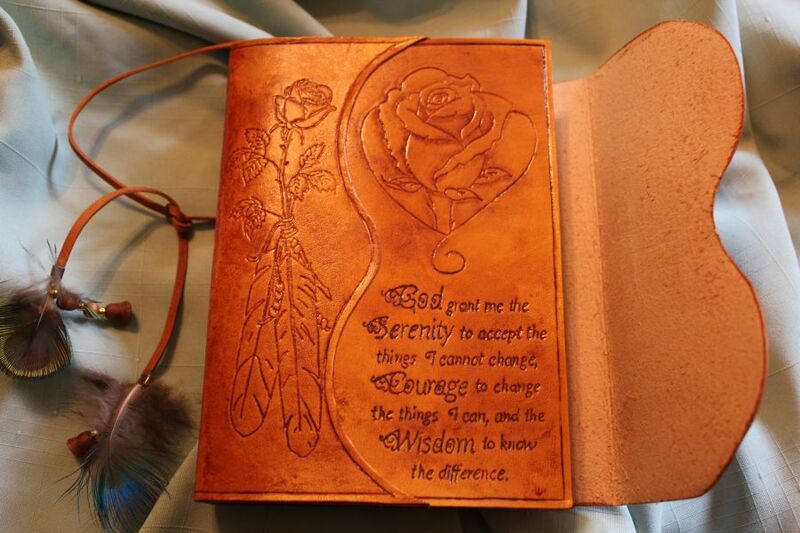 On the back I tooled a rose and a cross. Not sure where I came across this image… but I love it! What do you think? 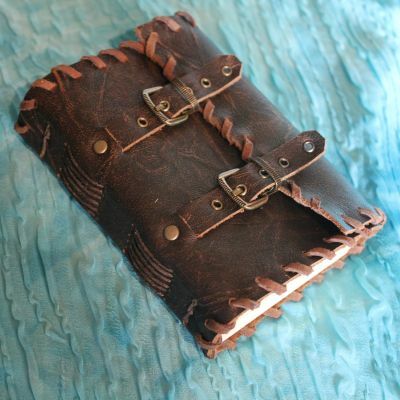 If I was to make more leather journals… some simple & some more detailed like this one, would there be a market for it? How much should I charge? Let me know your thoughts! It’s been a long time, but I finally created something! Oh my it feels good to be inspired again! 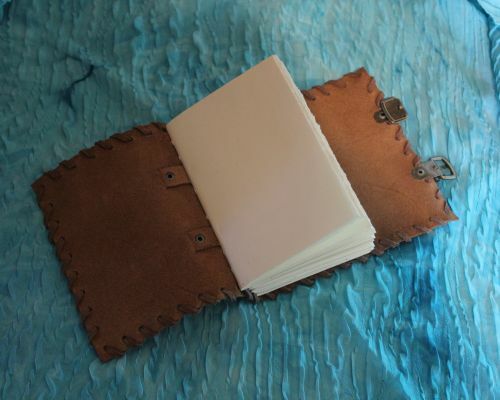 I was going to write in my journal… it’s a leather journal I bought awhile ago… and I realized that I will need to get another one as it’s almost full. So I went to the site I bought it from but the one I love has been discontinued and all the others are so expensive. I’m not working right now, so I can’t justify spending that kind of money. 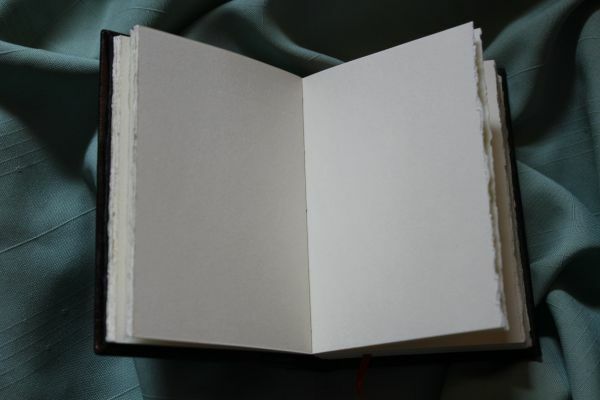 Well… I got looking at my journal and thought to myself that it can’t be that hard to make myself. So I googled a few tutorials, went and bought some nice parchment paper… and viola! It’s been way too long since I’ve done anything dollie related. It’s been like I’m stuck and have had absolutely no inspiration or incentive to create anything. The thought just made me want to go stick my head in a hole… which I did. Well, I got to get over it. My body is telling me to get over it and move on. I need to create so I can heal. A couple of days ago I had a huge cyst removed from my right ovary. Huge as in the size of a cantaloupe. I’m not sure when this cyst started growing, but looking back over the last year there have been a lot of things happening… growing pains with my boys, Tanya’s death plus a couple other friends & customers passing all within a month of each other, and a lot more responsibility and hours at work. All which made it hard for me to create. Also, I found that I had put a lot of pressure on myself. I had stopped creating for the sake of creating… and felt that I had to keep up with my own reputation. 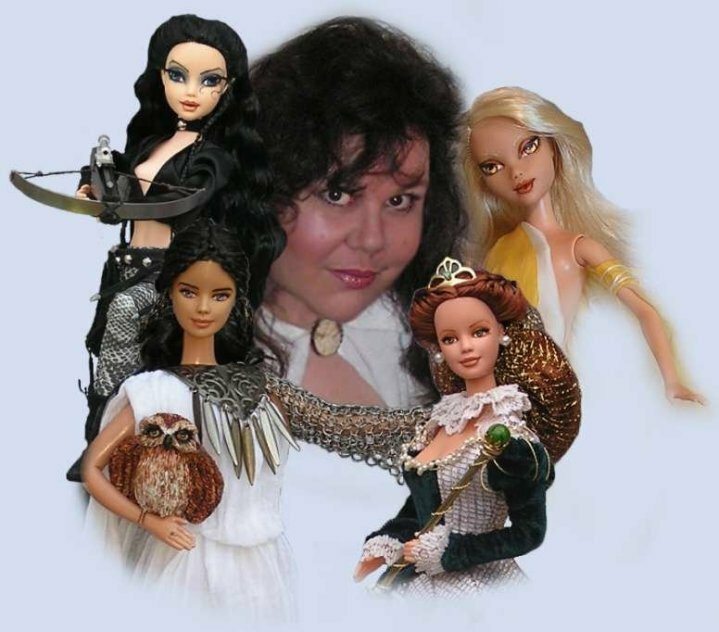 That each doll needed to be better than the last. This feeling was stifling. From what I’ve read… your ovaries have a lot to do with your need to create. If you don’t do so, it blocks your energy in that chakra which leads to illness. IE ovarian cysts. So I’ve been digging around in my supplies, looking at all my unfinished projects, and searching for inspiration. I’d love to finish my St. Paddy’s day girl in time for March. That would be nice! Also… season 3 of Vikings will be starting soon. I adore Lagertha… and she would make an awesome doll. I really love the armor they’ve made for her character in season 3! 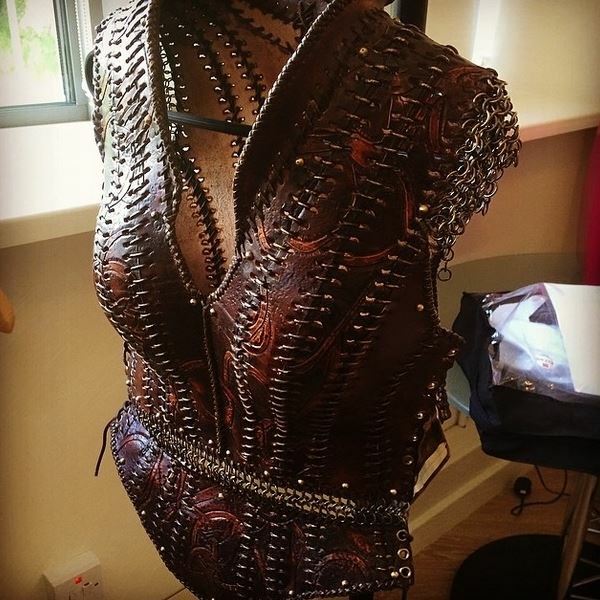 It’s a mix of tooled leather and chainmaille. 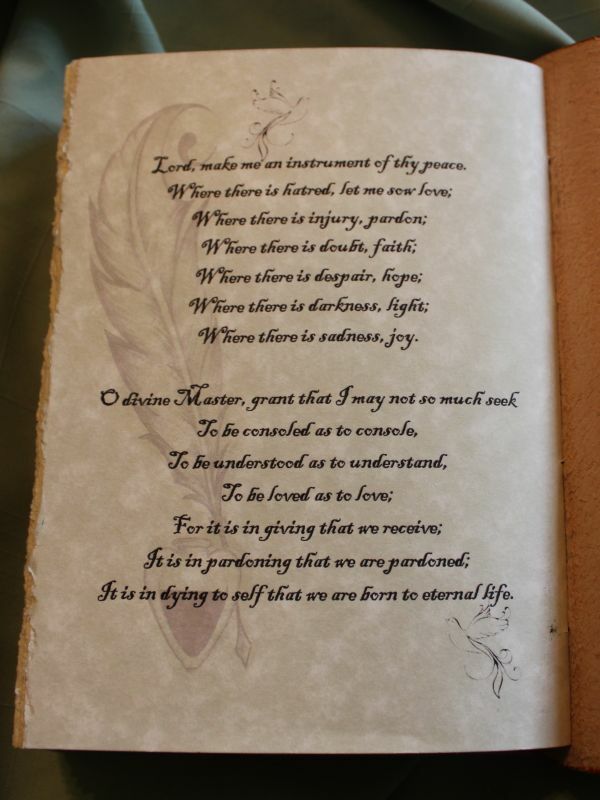 We lost a beautiful person yesterday…. We lost a beautiful person yesterday. I’ll say more later… right now my heart hurts too much. I’m gonna miss you honey!